This is the public profile of Guohua, Cai, Additional information and high-resolution images are available for accredited press members, to access additional information about Guohua, Cai please login as a press member. 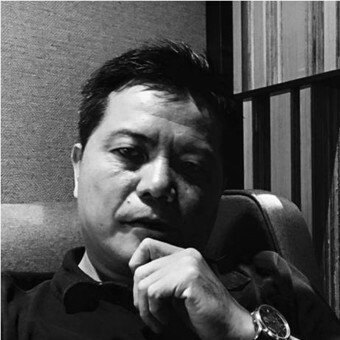 About Guohua, Cai : Tsay Sir Interior Design, or TSSID is a professional interior design house in Taoyuan city, Taiwan. It was established in 1995 for 23 years, founders are in fine arts background. There are some merits seems almost the same of interior space along with multi-media cubic work of well-trained fine arts designers, implant aesthetic elements into tailored-made interior design works for our clients. Recently, besides TSSID is active in the interior design industry, it is keen to share its insight of interior design ideas for community and public forum. Designer-in-chief is teaching in university, and publishing some publications pertains to interior design approach by the fine arts methodology. Art to life is everywhere, influencing us on a daily basis, whether we realize it or not. With the art that we are surrounded by. 2006-2007, Taoyuan Interior Design & Association. 2014, CIDA public space& commercial space design nomination，China. 2015, Best Design for Ecological Retail Interior Space，Italy. 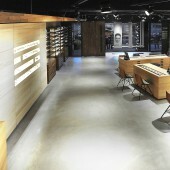 Be Optic glasses shop, 2005-2008, as interior design projects leader. Press Members: Request an exclusive interview with Guohua, Cai.